It is one thing having a cool shed and putting down some grass, but if you really want to have an epic garden then you need to exercise those green thumbs. 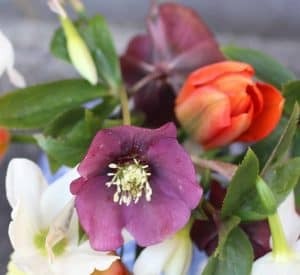 To help inspire you, give you some advice and to also avoid doing any real work, here at the WhatShed office we have been looking at the best flower blogs that can help turn your garden into something really amazing. Flowerona is a blog from gardener and social media whizz, Rona. This is one of the most impressive blogs we have seen. 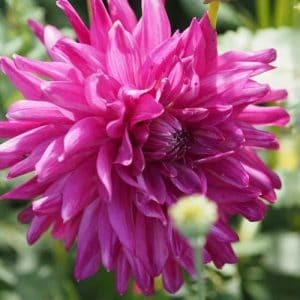 Rona is a great gardener and many of her blog posts do a wonderful job in showcasing some of her prized flowers. Her blog has actually won the best wedding flowers blog for three years running. Her arrangements are truly spectacular and you cannot help but be impressed. You will pick up many ideas here for your own flower beds that will make them look extra special. As well as lots of posts about gardening and some amazing pictures, one of the things that really sets Rona’s blog apart from the rest is her social media skills. She teaches you how to get the most out of your own blog by giving you tips on how to use Twitter and Instagram properly so you can reach the highest amount of people. Jane Perrone is a real celebrity in the world of gardening. She is the editor of the gardening section in The Guardian, a co presenter of The Sow, has appeared on numerous podcasts and has even written a book called The Allotment Keeper’s Handbook! So as you can see, this is a lady who knows her stuff. 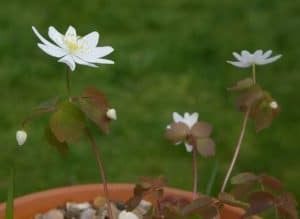 Her blog is actually a lot of fun and while getting some advice, we also really enjoyed reading about the different adventures that Jane goes on as she discovers even more gorgeous plants. One of the blog posts that we got a real kick out of was her one on houseplants that even the most inept gardener cannot kill! 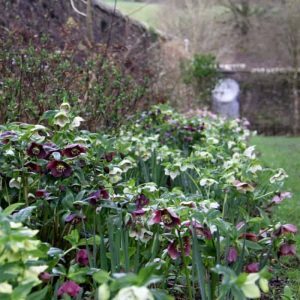 John Grimshaw’s Garden Diary is a fantastic blog from gardener John Grimshaw. What we love about this blog is that it is exactly what it says it is. Each blog post gives you updates on John’s garden in Kirkhill Farm and also his views, tips and ideas about gardening. 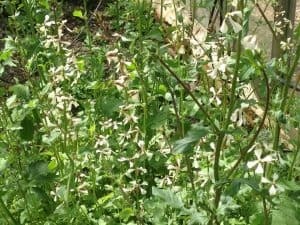 We feel that this is the kind of blog that is ideal for those who just love to read about a seasoned gardeners journey to make his garden even more amazing. As John actually works as a botanist, you know that he clearly is talking sense with all the advice and suggestions that he gives out. You really will learn a lot by coming here. But as well as this, it is a lot of fun to read about the different gardening adventures John gets to go on. 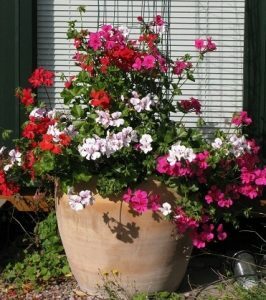 Gwen Ward is a gardener and blogger and from the name of her blog you know right away that she has a love for Pelargoniums. Gwen is actually the secretary for The Pelargonium & Geranium Society, which is very impressive. We loved reading her blog posts about her favourite Pelargoniums such as Sweet Jess. There are a ton of interesting blog posts to read on here and Gwen has a great personality that shines through her writing. As well as her own garden and love for Pelargoniums, Gwen also goes on some great adventures where she takes pictures of some interesting gardens and flowers. One of her recent adventures saw her and a few friends take a trip to Sweden – it is a great read. Gillian McCulloch is the green fingered lady behind the awesome Country Garden UK blog, a blog that really is a lot of fun and a place that is ideal for gardeners to check out. Gillian loves to take pictures of her garden and that is great. 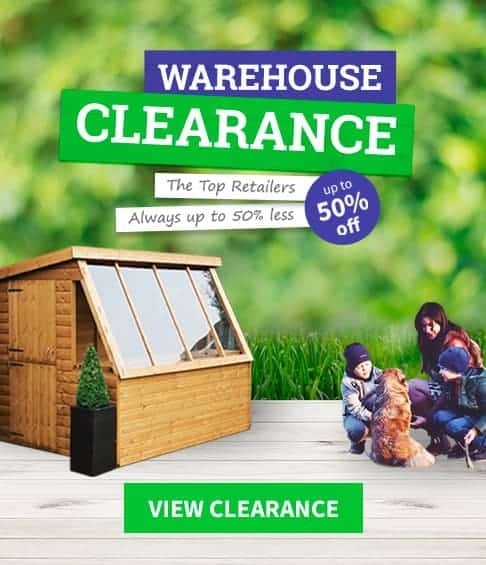 As well as this, you will also find some very interesting blog posts that will give you ideas for things that you can do with your own garden. It is the kind of blog that is perfect if you are in a bit of rut with your garden and need a little bit of inspiration. As well as this, The Country Garden UK blog is very community driven. Gillian encourages members of the blog to share pictures of their own gardens and to ask questions and offer advice and tips to one another. We had a lot of fun looking through Higgledy Garden from Benjamin Raynard. Benjamin is a very skilled gardener with some fantastic ideas that will help you out. 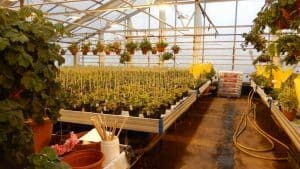 One of the best posts that we read was how he managed to make himself a make do (and pretty cool) mini greenhouse out of a standard storage tub that he drilled a few holes in. Benjamin really does come across as a gardener who wants to help others. He does this with a very easy to understand sowing and growing guide which will help many of you gardeners out there immensely. With a friendly attitude and plenty of well written and interesting blog posts, Higgledy Garden is a blog that we highly recommend you check out. Petra, the lady behind the Oxonian Gardener, will make you green with envy as you read about her work in gorgeous walled gardens. There are many photos and the work she has done is amazing. Petra is a fully fledged member of the Garden Media Guild, so she is just as skilled at writing as she is gardening. Petra is a great storyteller and while many of you may head to her blog for advice and to get ideas to make your own garden look epic, you will soon find yourself hooked and begin reading as much of her blog as possible. 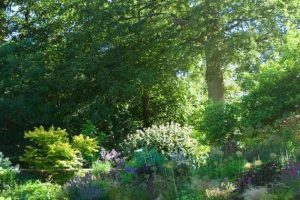 We really enjoyed our time with the Oxonian Gardener and the fact the photos of the garden she works in are so pretty is a very welcome bonus and a real highlight of the blog. We had a lot of fun with the Gardening Shoe from Sarah Shoesmith. This is one of the most charming and friendly blogs on this whole list. We really enjoyed reading all of the blog posts we could on here. Sarah has such a fun and friendly writing style that when you read about a particular plant she has grown or something she has tried, you cannot help but be inspired and want to give it a go yourself. We also got a real kick out of the many photos that are on her blog. She clearly has a keen eye for a good photo and has used this to great effect on her blog. One thing that we really enjoyed about The Gardening Shoe was her story about how when she was eight she dug a little pond and before she knew it, it was out of control and there was a whole lot of frogs in her garden! This was what actually inspired her mother to get Sarah into gardening. It really is a very charming story and well worth a read. 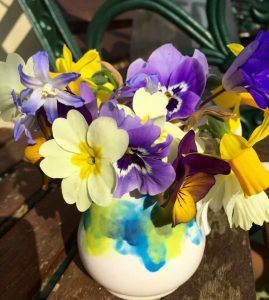 Here we have gardener Helen and her fantastic blog, The Patient Gardener. We really enjoyed this blog and one of the best things about it is the End Of Month View. In this part of her blog. Each month, Helen will take photos of her garden and then compare them to other months and in general just see what is and what is not working out. We think this is a great idea and she encourages other readers of her blog to do the same and post their results. 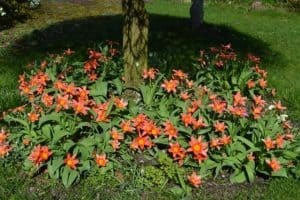 As well as this, Helen has some great blog posts that help teach you various things that can help spruce up your own garden. One thing we have to give her credit for is her photography. While Helen never claims to be the best photographer in the world, some of the images she has captured are amazing. Andrew O’Brian is one of the big names when it comes to gardening blogs as he has come really close on two occasions to winning the blog of the year. He has some big plans for his blog in the future, but we can tell you that even right now his Gardens, Weeds & Words blog is fantastic. We loved one of his recent posts about making a water feature in your garden. An idea that is not only really cool, but practical as well. Andrew’s blog is full of useful and fun posts like this. We love how there is quite a bit of humour here and you want a few chuckles as you learn about awesome things you can do with your garden. Then we have no doubt that you will get a lot out of this blog. With over 20 years of gardening experience, it is fair to say that Joanna has seen and done it all when it comes to flowers and gardening in general. 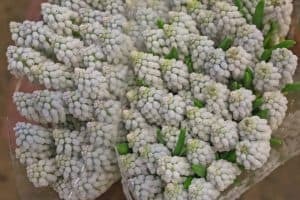 There is just a wealth of fantastic information here at the Produce From The Garden blog. Joanna is the kind of blogger who loves to not just write about her own garden, she also offers some very useful advice so that you can make your own flower bed and garden look incredible. 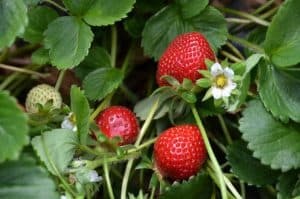 One of the most popular blog posts on the Produce From The Garden blog is her one about having a low maintenance garden. She says the secret for this is mulch! Apparently, this will help keep your flowers looking tidy and also make it harder for weeds to cause problems. Harriet Rycroft is an absolute pro when it comes to gardening. For around 14 years, Harriet was the head gardener at a place called Whichford Pottery where she says she must have potted thousands and thousands of plants in that time! She has also done some speaking engagements as well as writing various articles about gardening. In short, this is a lady who knows what she is talking about and her blog is filled with some very interesting and useful information that will help you make your own garden very special. One of the most popular sections of her site is Friday Flora where she dedicates a whole blog post to one of the many gardens she visits, as well as showcasing a particular flower. Here we have Woolygreen, which is actually one of the most interesting blogs on this list. One of the things that really caught our attention about Woolygreen was the fact it is written by eight different people from different areas. This means that the blog is regularly updated with useful and fun information. Not only that, but you are getting advice from a committee of people which will come in real handy if you have any big problems with your flower bed that you just cannot get a handle on. With some amazing photos, Woolygreen is a flower blog that is perfect for anyone who likes to get some fun tips and also for those who need a little helping hand. 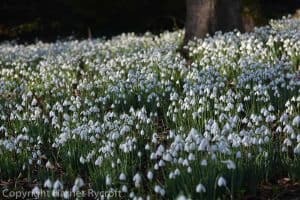 Gwenfars Garden is a lovely blog from gardener Julieanne Porter. 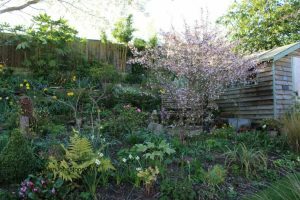 What is very impressive about this blog is how Julieanne is able to have this lovely urban garden all the while dealing with her ME which can sometimes make working in her garden a bit of a struggle for her. Her charming personality and quick wit make for some very good reading and if you have an urban garden and not too much space to work with, then you will get some very good ideas here. One of the most interesting things about Gewnfars Garden is her posts on Spoon Theory. This is where she explains that each flower needs a different amount of energy (spoon being a unit of energy) and she uses this to work out what combination of flowers and food work out best. It is very interesting stuff and something that a few people in the WhatShed office are thinking of giving a try. 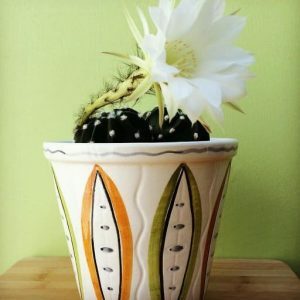 The Green Tapestry blog is a fun gardening blog from fellow gardener, Anna. We had a lot of fun with this blog and one of the best things about it is the way Anna is always willing to give something a try. Anna has a wealth of gardening knowledge (although she comes across as very humble about it) and even if she does not know the answer to one of her readers problems, she will always find out. 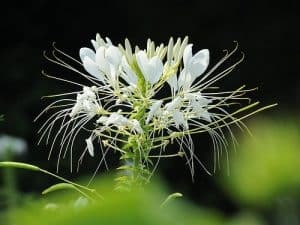 If you feel that your own garden has been dragging its heels lately and needs something extra, then you will find all kinds of cool and interesting ideas at the Green Tapestry blog. Helen Gazeley is a freelance writer and gardener who actually writes for Towpath Talk, Growveg and Kitchen Gardener on a monthly basis. So you know right off the bat that her blog is going to be full of some very useful tips, tricks and suggestions that you can use to make your garden a colourful dreamland. We loved how well written and easy to follow this blog was. It is perfect for those who need advice, but want it laid out in a very easy to understand way. Helen really has created a fantastic blog here and we really could not be any more impressed. She has a great blog post about a gorgeous rose from the Iranian desert that is now flourishing in her garden and is a real standout feature. Ronnie is one very inspirational lady who managed to take on cancer and beat it! During her battle with cancer, her friends actually arranged for a flower to be named after her which we think is very, very cool. Ronnie is a very good writer and we found her blog to be very entertaining. We loved seeing pictures of her garden and Ronnie as well as showing pictures lets you know how she does things so there is quite a few useful tips on here. While Ronnie has many different blog posts about her own garden, she loves to get out and about to see other gardens. She also shares some amazing pictures of these as well as her thoughts, which are also really interesting. Many of the blogs that we have looked at today will share with you tips and bits of advice on how you can make your garden look nice as well as giving you ideas for things to actually do. The Blooming Garden is not really that kind of blog. 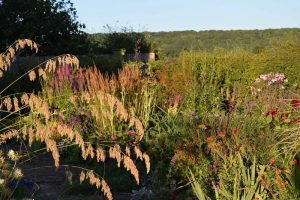 Chris is the person behind this blog and it really is the chronicle of one gardeners quest to take a piece of land and make it something truly beautiful. You cannot help but be inspired by some of the cool stuff that Chris has done. 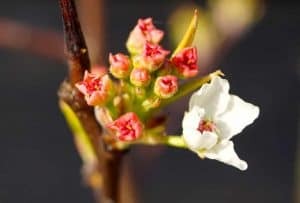 As well as this, Chris has a keen eye for photography and you will love just looking at some of the amazing images of plants and different gardens that are on this blog.